Air Canada has dropped the price of their non-stop flights from Toronto to Brazil down to $662 CAD roundtrip including taxes. Update #1 - October 20 @ 4:05 PM EST: Dec 2015 to May 2016 dates are now available for this price. 2. Select your flights in Google Flights, and then click through to the Air Canada website or Flight Network (with price drop protection) for booking. toronto, yyz, flight deals, air canada, south america, rio de janeiro, brazil, gig, sao paulo, gru, united airlines, sao and rio. 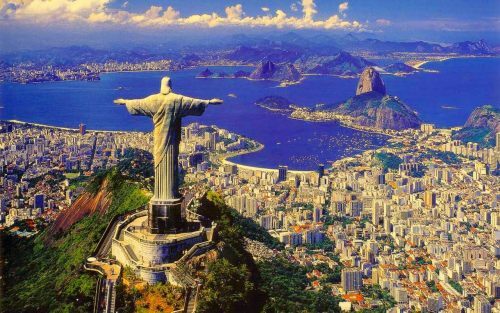 One Response to "Toronto to Rio de Janeiro or Sao Paulo, Brazil - $662 CAD roundtrip including taxes | non-stop flights"
a friend and i are planning on going to brazil late dec for his birthday celebration. this is a great price. there are return dates as late as april for this price. you used to be able to get a tourist visa at the airport on arrival. now you must have a visa from the embassy/consulate in canada before you are allowed to board the plane. the cost is $97.50.